He says he doesn’t really need anything; while that might be true, you still want to make your dad feel special this Sunday. If his closet is overflowing with socks, ties and paper weights from past Father’s Days, you might need some gift inspiration. We’ve got 10 BoQ-specific gifts and experiences that we think will impress the fatherly figure in your life. Save yourself a trip to the department store for yet another golf shirt and take a look through our suggestions instead! Axes and Allies: Do you need to spice up your monthly bowling night routine? Surprise dad by taking him to an axe throwing session and throw a different type of strike. 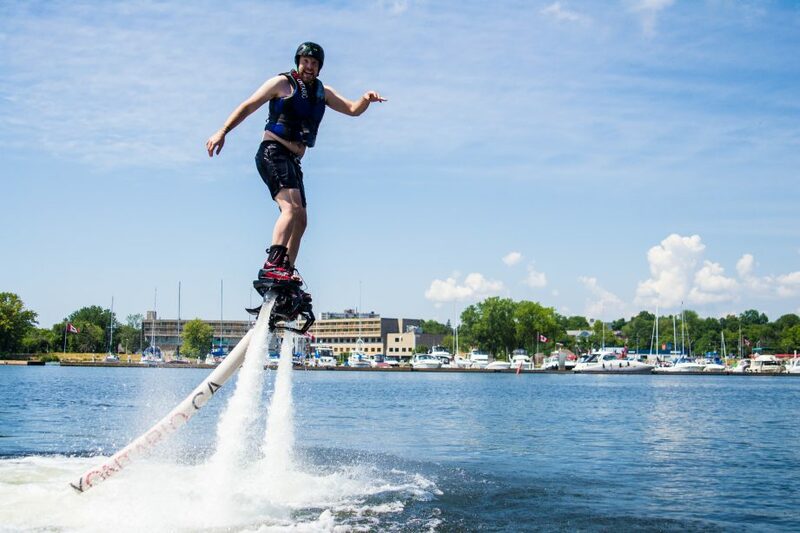 Flyboarding: Is your dad obsessed with sci-fi and always dreamed of flying around in a jet pack? Soar above the water with an afternoon of flyboarding on the Bay like this dad! Rhino Sports & Playland: Challenge your old man to a game of trampoline basketball, or see who can scale the indoor climbing wall the fastest. 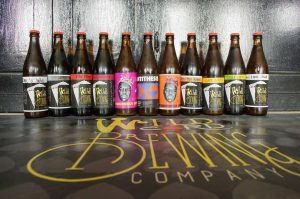 Signal Brewery or the Old Church Theatre: Whether he prefers live music or alternative theatre, take him to a show at one of these venues to soak up the talents of the BoQ arts community. Knife: Pick up a folding knife with a black walnut handle or choose from a variety of custom, Canadian made blades from Anderson Knives in Frankford. Beer Stein: More intricate and unique than your average beer vessel, these custom mugs from Mystic Wood Carvings are crafted by self-taught artist Alex Ferri. Handmade Shaving Soap: If your dad is hip to all-natural products, skip the more conventional route and give him the gift of a shave from Barefoot Soapworks. They offer handmade, all-natural shaving soap packaged in a re-purposed mug and paired with a soft badger hair shave brush. A Six Pack: And no, we don’t mean the one that comes from a gym membership or P90X subscription. Stop into Wild Card Brewing Company for the antithesis of a boring Father’s Day gift. Micro-Roasted Coffee: Assemble a small gift basket for your caffeine connoisseur! Include a bag of fresh Colombian coffee from Bri’s Beans along with a new mug and some homemade cookies to dunk in his cup of joe. Do you have any Father’s Day traditions that you do year after year? Do you have something special planned this time around? Let us know in the comments below or on social media with #bayofquinte and #BoQ!